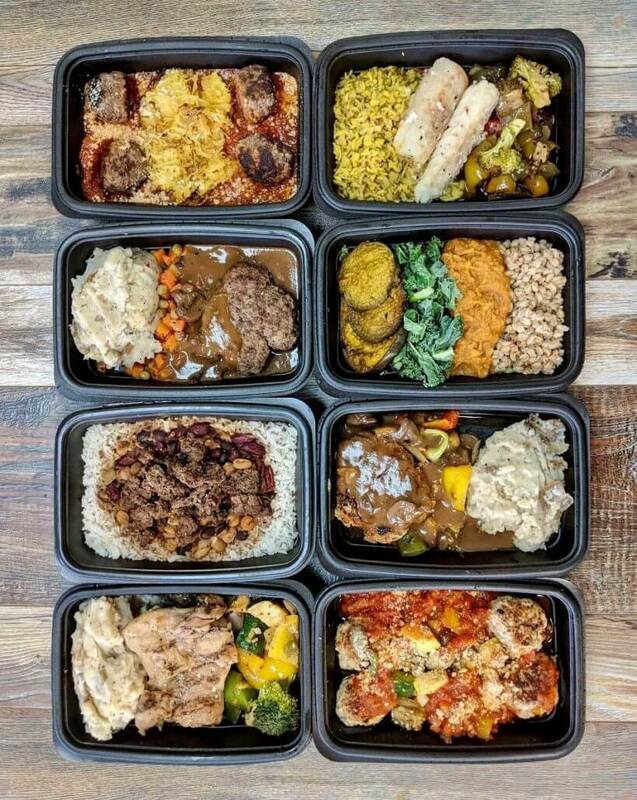 Sidewalk Chef Kitchen specializes in healthy meal prep service with our freshly prepared and packaged Heat and Eat 500-Calorie Meals for lunch and dinner. We make meal prep easy with no contract needed. Simply visit the refrigerator section at The Kitchen and purchase as many meals as you would like or fill out the form below to pre-order multiple meals and pick up at The Kitchen Monday-Friday from 11 AM – 5 PM. We are happy to work with customers with special dietary requests. If you have such needs or are interested in additional vegan or vegetarian options, please contact us. Special: Order a one-month supply of 40 meals (2 meals/day 5 days/week) and receive 10% off. Discount taken at register during pick-up. Would you like to select more meals?